Littered with cigarette butts, water bottles and tires, California's beaches accumulate millions of pounds of trash every year. And every year volunteers sweep them clean during the California Coastal Commission's annual beach and inland shore cleanup, which happens this Saturday. But the volunteer event may be different this year, owing to an influx of debris from the tsunami that hit the coast of Japan in 2011. Scientists think the bulk of the debris will hit the California coast this fall. "Saying one particular thing is definitively tsunami debris is going to be really tough," said Eben Schwartz of the Coastal Commission. "But we do expect an upward tick in those types of items during this coastal cleanup day and for the next several years." 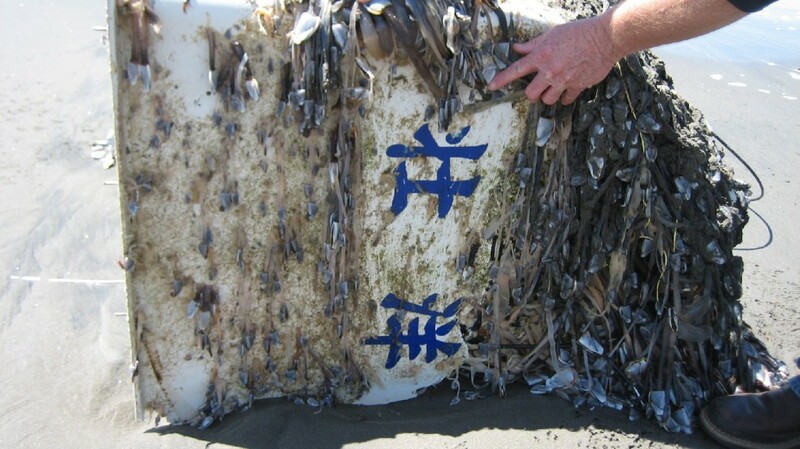 More than 5 million tons of debris washed into the Pacific after the tsunami. While most of it sank, Japanese officials estimate that up to 1.5 million tons of debris is still afloat. Some debris from the tsunami has already turned up on California beaches, including a boat that washed ashore near the California-Oregon border in April. Most of the tsunami debris has been sighted farther north in places like Oregon, Washington, Alaska and even Canada. Large items like a concrete dock and a Harley-Davidson motorcycle washed up along the coasts of Oregon and British Columbia last year. The Coastal Cleanup is part of the Ocean Conservancy's international cleanup which happens in more than thirty countries around the world. Last year more than 15,000 people in the Bay Area participated, Schwartz said he expects a bigger turnout this year. "The California Coastal Cleanup Day is the one chance we all have to take care of our ocean," Schwartz said. "All the trash from our city streets will eventually end up in our ocean if we don't stop it where it starts." To find out more or register to participate, visit the California Coastal Commission.